We need to access what systems of the body have been affected by imbalance and try to restore the balance using, perhaps, diet, supplements and herbs. There are several different components to an intake evaluation. The first thing we need is a two week food diary. Try to pick a week where you are eating normally, not a holiday week or a week you may be on vacation or just started the newest “fad diet”. We need a list of all medications, supplements or herbs that you are currently taking. We need a questionnaire filled out that lists some basic questions about your health, lifestyle, habits, work and brief family history. A personal interview is also required and this can be done in person or via webcam. During this interview we will clear up anything that may be unclear in your history. 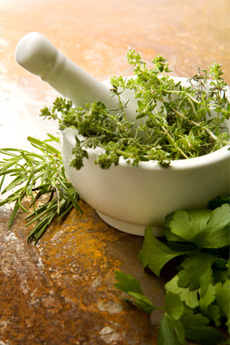 We will then help you choose herbs and supplements, and eating patterns that help restore balance and health. Our prime goal is to help you learn to maintain homiostasis in the body, therefore health. The cost for the initial consultation is $60.00. You may contact by phone or e-mail if you have any questions or would like to schedule a consultation. Please contact us for directions. GPS directions can sometimes ( often) be inaccurate to our location.